Bali is Instagram heaven. Have you been there yet or are you planning to go? 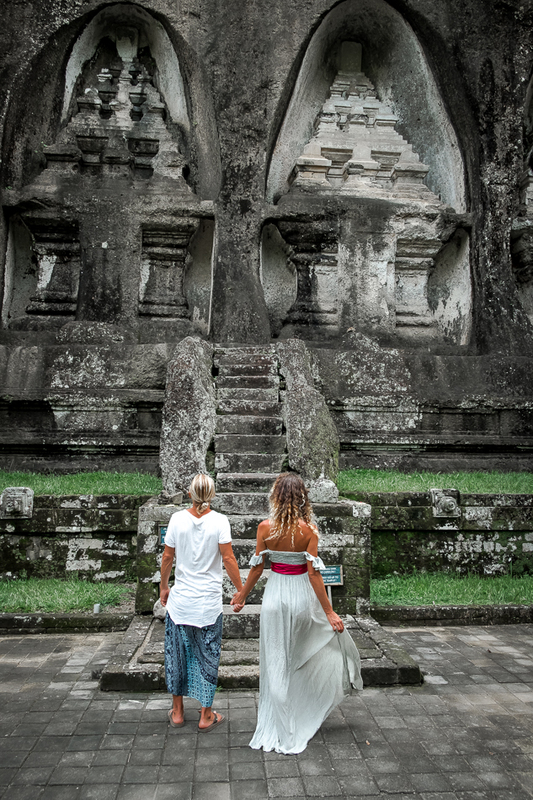 We recently came back from our fifth trip to Bali. That’s right fifth. That proves how much we love it and our words won’t be enough to describe the magic and beauty of this island. You can read more HERE about our latest trip to Bali on a Digital Nomad Retreat with PACK. 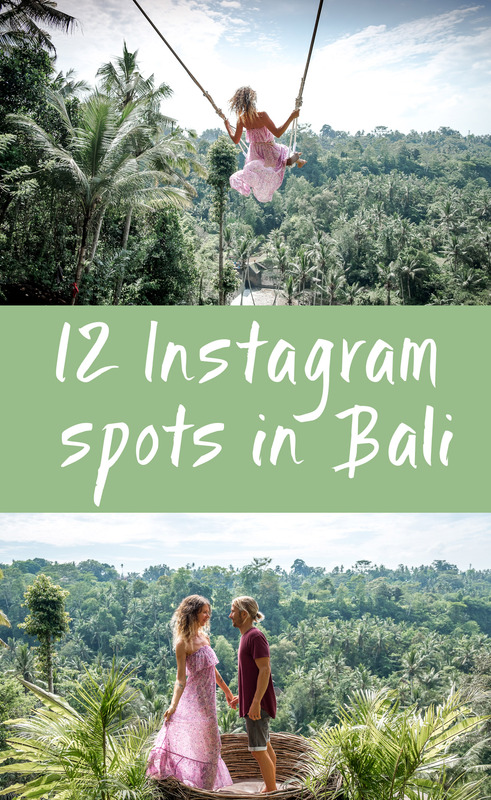 In this post, we have put together our 12 favorite Instagram spots in Bali that you shouldn’t miss. 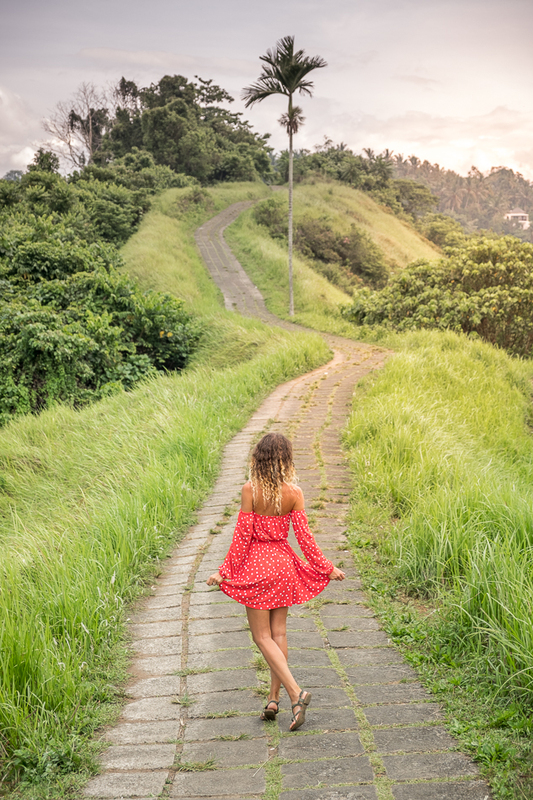 There are countless opportunities for everyone and especially for those of you who love photography and taking that perfect Instagram shot. 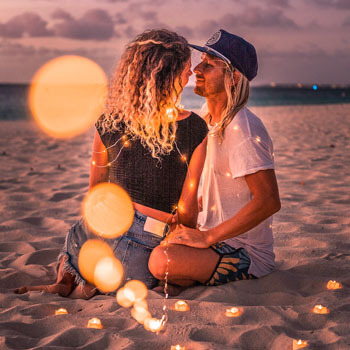 Bali is the home of breathtaking views, incredible infinity pools, stunning villas, delicious food, rice fields, temples and has many more reasons for you to go. Let’s not forget to mention the people and the positive energy of the local Balinese. With no further talk here are our most favorite Instagram spots in Bali. The Tyrannosaurus Rex shaped cliffs at Kelingking Beach is located on the southwestern coast of Nusa Penida island. It’s one of the most astonishing views we’ve ever seen. To get to the secluded beach you have to go down a rugged 400m cliffside hike. This is recommended only for the fit and adventurous. The most famous and colorful sign I LOVE BALI is located at the top of the Tegallalang Rice Terraces in Ubud. The biggest tip we can give you is to go super early for sunrise or right after so you can have the spot to yourself. Otherwise, it’s very crowded and you will even have to pay a small donation to the locals. Green and tropical lush combined together, is simply spectacular. Coming from Ubud the terraces will be on your right side. You can park on the street and walk down. Keep in mind that if you go past 9-10am it will be very crowded. Wake up early and go for sunrise. That way you will also skip all the locals that will charge you to go up on each terrace. You won’t regret it. 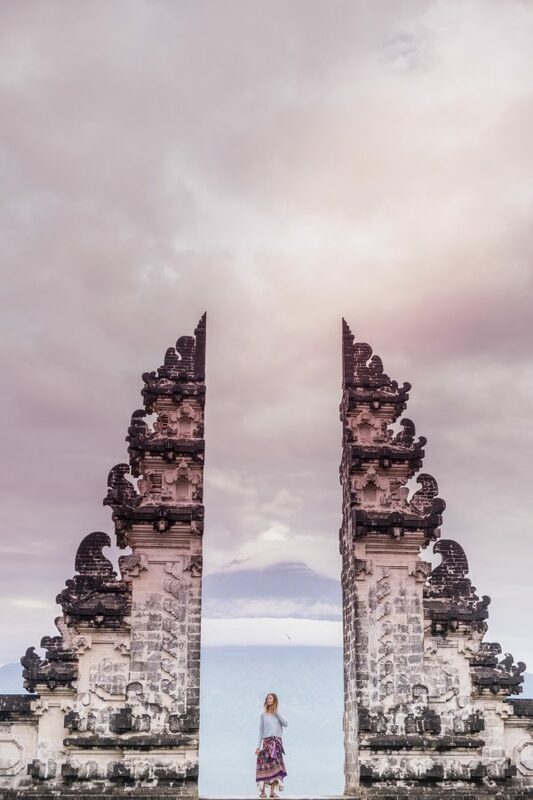 Pura Lempuyang Temple is located on the east side of the island and is one of Bali’s oldest temples. It offers the most breathtaking view of the volcano Mount Agung. As always try to get there by 7-8am to be the first one there. There’s a small entrance fee and you will need to rent a sarong. Keep in mind that you won’t be allowed in if your shoulders and legs are not covered. The Bali Swing has become another popular picture-taking spot on the island. 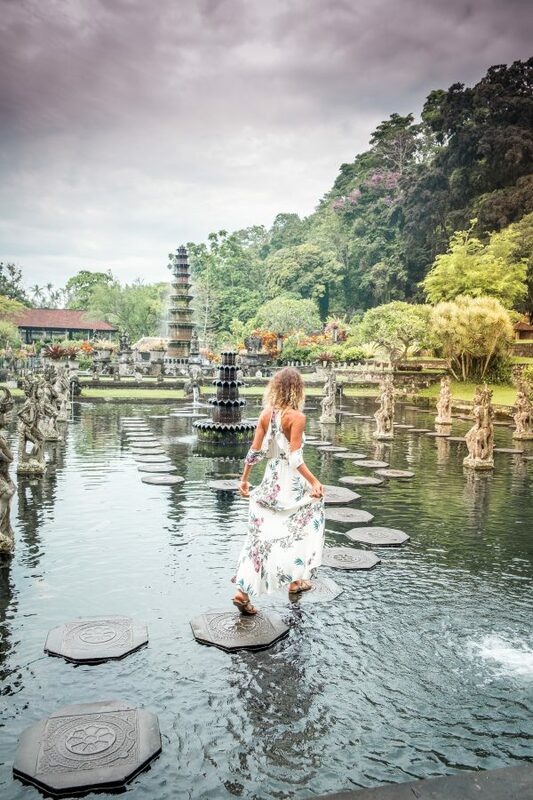 It’s located on the outskirts of Ubud and it’s definitely worth going. It cost $35 for the activities package which includes all the swings, all the nests, the rock, lunch buffet, coffee, and drinks. Absolutely a must. Jungle Fish is an open-air restaurant and pool bar with one of the most amazing infinity pools with an incredible jungle view. It is part of the Chapung Se Vali Resort where we stayed and we highly recommend it. It is located just 10 minutes drive north of Ubud and you can either go for the day or spend a night at the resort. Probably one of our favorite spots in Ubud. It’s a great place for a nature walk with unforgettable views. We recommend going there at least twice, for sunset and sunrise. It is a great place to escape the busy streets of Ubud. The Sacred Monkey Forest in Ubud is inhabited by a gang of not so innocent monkeys. Inside there are some temples that locals go to worship. Definitely, keep your eyes open and always look over your shoulder and hold on tight to your bags. 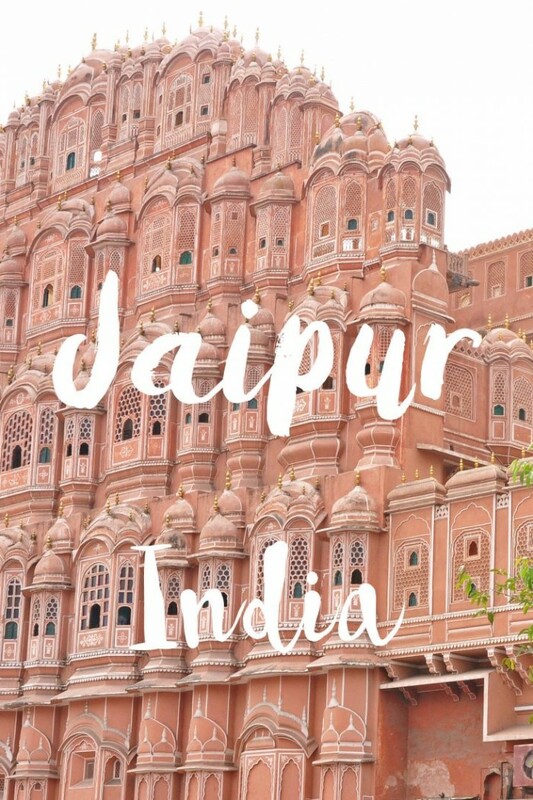 Depending on your time of visiting it can be very mosquito infested, so keep that in mind if they like your blood. I got demolished. Gunung Kawi is a temple complex centered around royal tombs carved into stone cliffs in the 11th century. 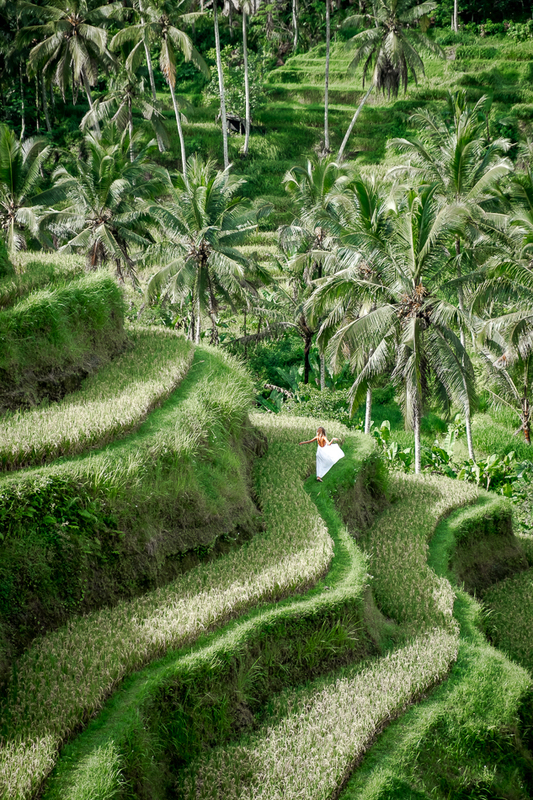 It is perched on sublime rice terraces about 30 minutes northeast from Ubud. We really love this place. It is not that popular among the tourists yet and you can enjoy exploring it without crowds. The most secluded and pristine beach in Bali. Our absolute favorite place for sunset. Clear blue water, very few people there and spectacular views of the ocean and the surrounding cliffs. It is only accessible during low tide and you will have to through the caves to get there. It’s a must and so worth it. 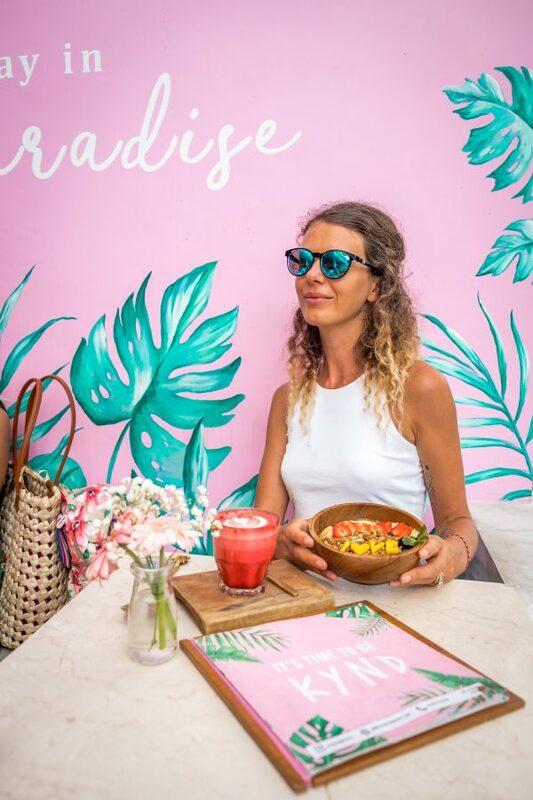 The most famous and Instagramable Cafe in Bali. It’s plant-based and everything is beautifully crafted and delicious. It is located in Seminyak and open from 6am – 5pm. The ultimate paradise for vegans and none vegans. Colorful smoothies, coffees, and food that also tastes very good. Tirta Gangga is located in the east part of the island and you can combine a visit with the Lempuyang Temple. ‘Tirta’ in Balinese means ‘holy water’ and ‘Gangga’ is the name of the famous river Ganges in India, after which it was named. It is a peaceful oasis that would blow your mind. LIKE IT – PIN IT! Really beautiful pictures! Bali looks amazing! Thanks for sharing the pictures! Your photos are gorgeous! Bali is definitely on my list of places to travel to. It looks like there is some hiking stuff to do there as well, although that top photo looks like you go pretty high up! I will definitely try and connect with you on instagram. wow these look amazing sites to see! I’ve seen that swing on so many insta photos! Bali is on my bucket list! WOW!!! These photos are absolutely gorgeous!!! I’ve never been really that interested in Bali even though its just a few hours away from Australia :))) but you have convinced me to re think it!! 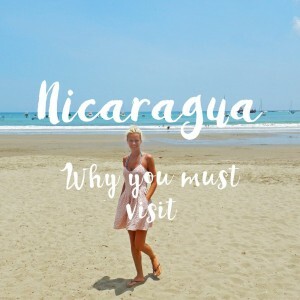 omg thank you so much for doing this post, i am bookmarking for my trip!